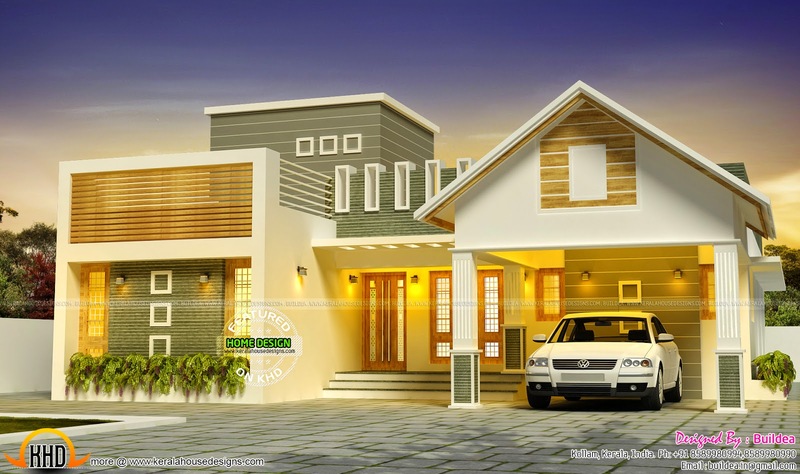 Beautiful 3 bedroom house with stair room on first floor. Total area of this house is 2040 Square Feet (189 Square Meter) (227 Square Yards). Designed by Buildea, Kollam, Kerala. Ground floor : 1875 sq.ft. First floor : 165 sq.ft.